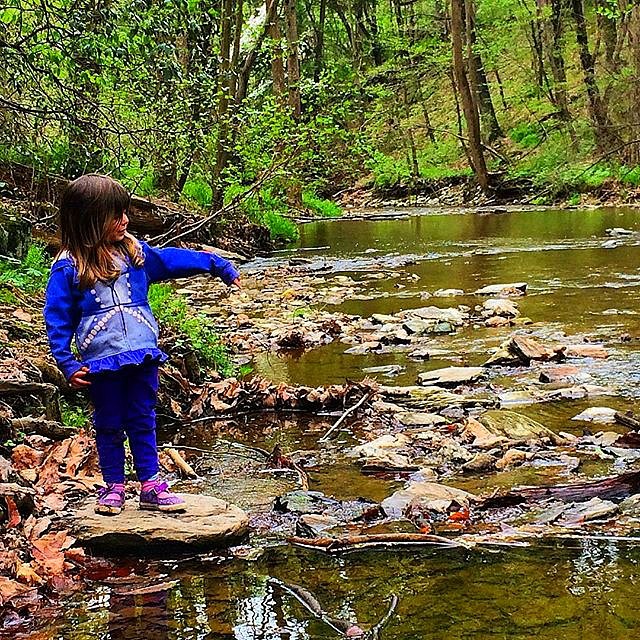 These Maryland hikes are perfect for kids because they are short and super fun! I think it was the sharp ascent from the bottom of the trail head that tricked me. 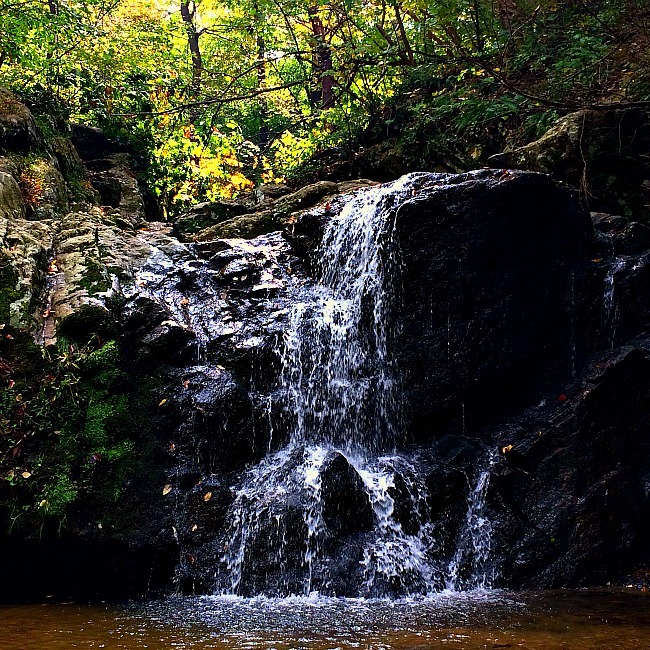 For years my husband and I had visited the Orange Grove area of Patapsco Valley State Park but we had never tried to hike the trail to Cascade Falls. Why not? Probably because I still remembered the lactic acid burn from strenuous hikes in Yosemite or the Adirondacks in years past. If you are an avid hiker you know what I am talking about. The feeling of your quads screaming, your heart thumping so hard you think it might come out of your chest. 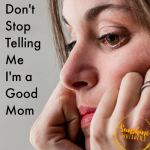 But you always persevered because of the pay off– an amazing view, a refreshing waterfall, or just the knowledge that you conquered that high peak. 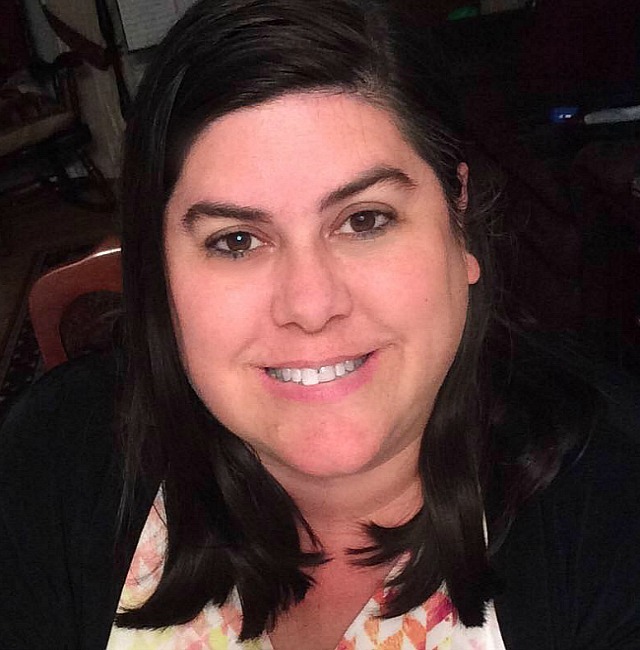 But when we moved to Maryland I probably got a little too doughy in the middle and I just didn’t feel the urge to tackle a strenuous hike on a Sunday afternoon, especially in the hot, muggy, Maryland summers. Then, a few years ago I read that the hike to Cascade Falls is actually quite short, not really very steep, and totally wonderful. So, one Sunday afternoon we tried it with our almost 2-year old. I was admittedly very skeptical as we leaned into the first hill. However, my daughter held tight to my finger and as we started up, an elderly couple descended. Ok, maybe this wouldn’t be so bad. It turned out to be one of my favorite short hikes of all time. The initial hill quickly gave way to a gentle flat slope and once you rounded the second bend in the trail, you were a mere 5 minutes from what is probably the most relaxing waterfall experience in the Baltimore-DC area. Cascade Falls spills into a shallow pool before tumbling down a short tributary and dumping into the Patapsco River below. Around the pool are fallen logs and boulders that previous visitors have fashioned into a makeshift amphitheater. We sat and enjoyed the waterfall for a good long time, my daughter tossing rocks and pebbles into the pool and giggling with delight. I loved the fact that this amazing hike was doable for such a young child. 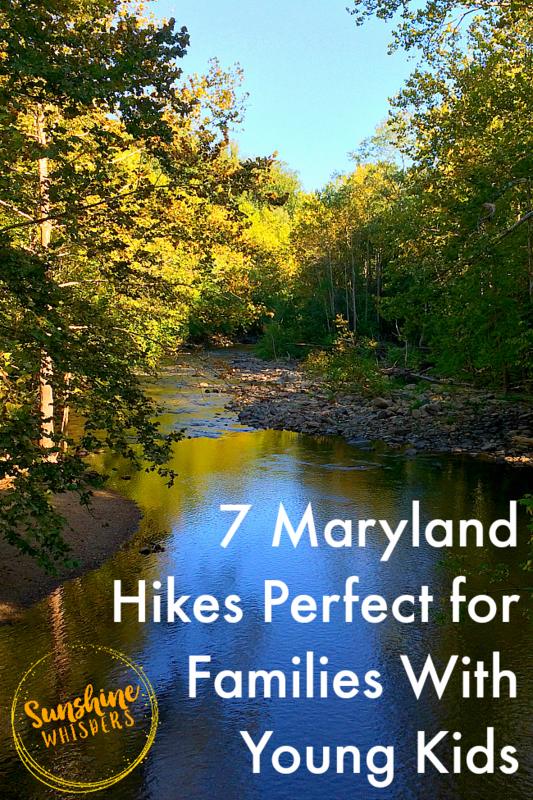 There are actually quite a few Maryland hikes that are perfect for families with young kids. Here are 7 of our favorites. If you have young kids, you really can’t do better than a day trip to the Orange Grove Area of Patapsco Valley State Park (you can read my in-depth review of Patapsco Valley State Park here). The entire hike to the waterfall is probably less than 1/2 mile (one-way) and the waterfall is really lovely. There is plenty of parking at the trailhead and a nice restroom facility as well. Once you conquer this waterfall with your kids, walk across the road and walk across the river on the very cool swinging bridge. Once on the other side, there is the paved, wide, and mostly flat Grist Mill Trail, which is a lovely walk any day. There are lots of places to access the river from this trail and your kids will have a blast hunting for nature treasures and throwing rocks in the river. On your way out of the Orange Grove area of the park, park near the two enormous picnic pavilions long enough to let your kids play on the playground. Then, before you head home, drive South on Route 1 for about a mile and stop at Cindy’s Soft Serve for some soft ice cream or a snowball. 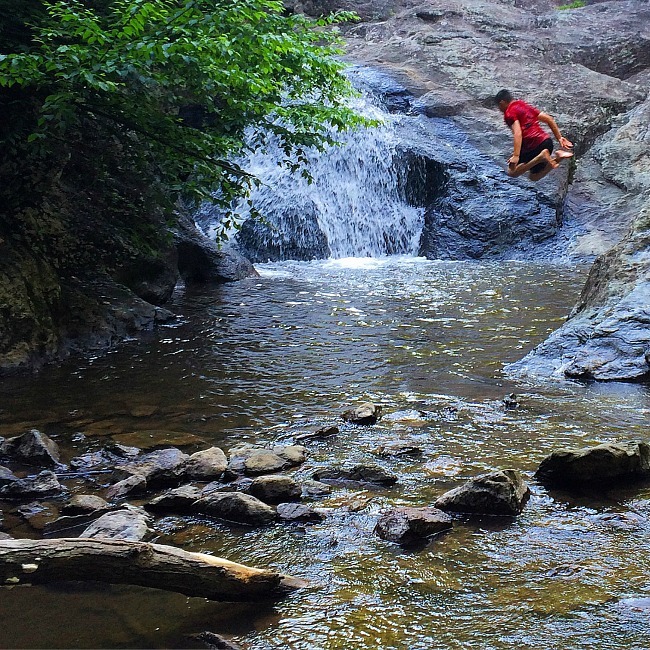 Click here for the website for Patapsco Valley State Park. Another fantastic hike for small children is the hike to Cunningham Falls in the William Houck Area of Cunningham Falls State Park. From the parking lot at the trailhead (don’t park at the beach. Keep driving and the parking lot you want will be on your left), the hike to the waterfall is about 1 mile, so 2 miles round trip. This is labeled the Lower Falls Trail. There is a more strenuous hike, but I can’t vouch for little legs traversing that hike well. I can report that when we first tried the Lower Falls Trail, my daughter was 3 years old and she had a blast. The hike is quite easy and the payoff is a gorgeous 78-ft waterfall that cascades into a deep pool that is full of swimmers in the summer months. Yep, you read that correctly. This trail is very popular when the weather is nice and on the weekends. When we visited, there were many families who made the short journey to the foot of the falls, and then stripped down to their swimsuits, scaled the boulders and jumped into the pools. We didn’t swim, but it was fun watching! If you visit Cunningham Falls State Park in the summer months, I would highly recommend visiting during the week because there is a very popular beach co-located with the trail to the waterfall. Many beach-goers walked from the beach to do the hike as well. Cunningham Falls is lovely year-round though. I would highly recommend checking out the park and waterfall during peak fall foliage time (early October typically). There are a number of fun family options near Cunningham Falls State Park. We love the Catoctin Wildlife Preserve and Zoo. You can read an in-depth review of this small (but super fun) zoo here. Click here for the Cunningham Falls State Park website. The Falling Branch Trail to Kilgore Falls is another fun hiking option for young kids. 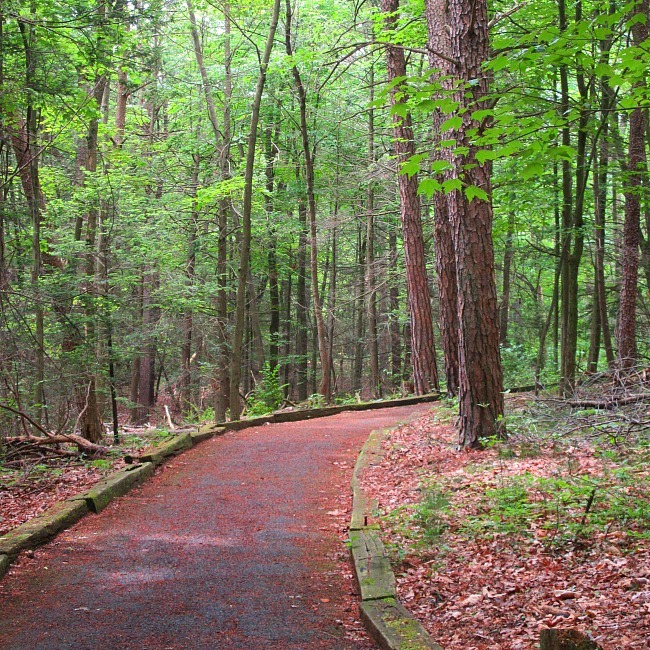 this 1.3 mile loop, located inside Rocks State Park in Harford County would make a fantastic beginning or end to an epic family day trip. Kilgore Falls, which is the 2nd highest free-flowing waterfall in Maryland, was the scene for the movie Tuck Everlasting, so you know it has to be beautiful. (note: I don’t have a photo of the waterfall in its glory because my phone crashed and I lost most of the photos… but the photo above is from the trail. It is a beautiful hike). We thoroughly enjoyed our hike to the waterfall, and even scaled the rocks to see the waterfall from the top. Our strategic miscalculation though was not bringing water shoes so we could ford the shallow water to the other side of the river (which has better views of the waterfall). If you plan a visit, bring water shoes and a change of clothes! 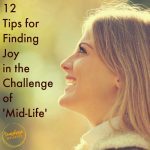 If you want to make a day trip out of your visit there are a few super fun options nearby. In the spring and summer I would highly recommend a visit to the Ladew Topiary Gardens, which is about 10 minutes away from the Falling Branch area. If you time your visit for September, you could also catch the totally glorious Clear Meadow Farms sunflower fields. (click here for my in-depth review of the sunflower fields). And don’t forget about the ice cream. There are three totally awesome creameries in the area, two of which are on the Maryland Ice Cream Trail. So, stop in for lunch and a scoop at the Prigel Family Creamery, Broom’s Blooms, or the Jarrettsville Creamery and Deli. Click here for the Rocks State Park website. One of my absolute favorite places in Maryland is Flag Ponds Nature Park. Located in Calvert County, this lovely park is not as highly trafficked as some of its neighbors. However, the beach is pristine and the hike to the beach is much more doable for little legs. From the parking area to the start of the beach area, the hike is about 1/2 mile. Getting there is easy.. it is downhill. Hiking back is more challenging for little legs because it is almost all uphill. However, my 3-year old made it back no problem, and after a busy day of playing. The hike meanders through a beautiful forest area, with a few other trails that don’t lead to the beach. Just before you get to the beach, there is a restroom facility and changing area, as well as a shower and hose off area (important for when you are leaving). The beach itself is gorgeous and when we visited, pretty empty. 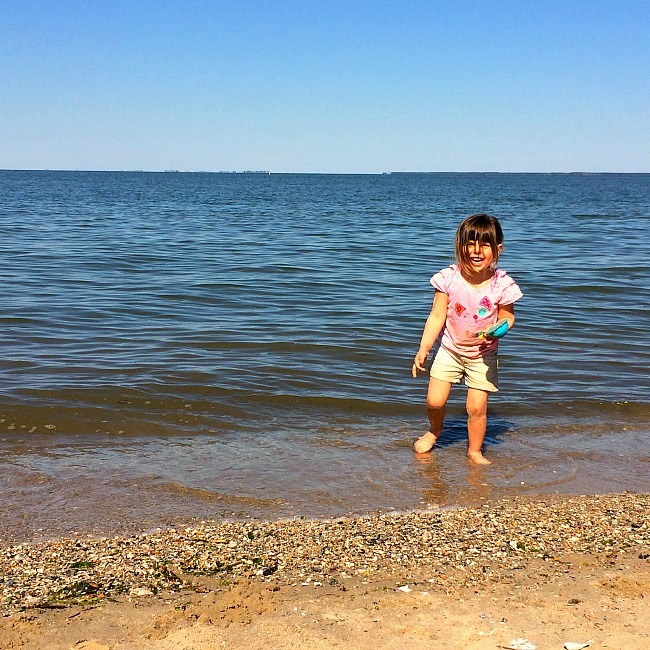 Like its neighbor, Calvert Cliffs State Park, you can hunt for shark’s teeth and other treasures, or just play in the sand and splash in the water! You can read my in-depth review of Flag Ponds here. You could seriously spend all day at Flag Ponds but there are other fun options for your family if you wanted to have an epic day trip. 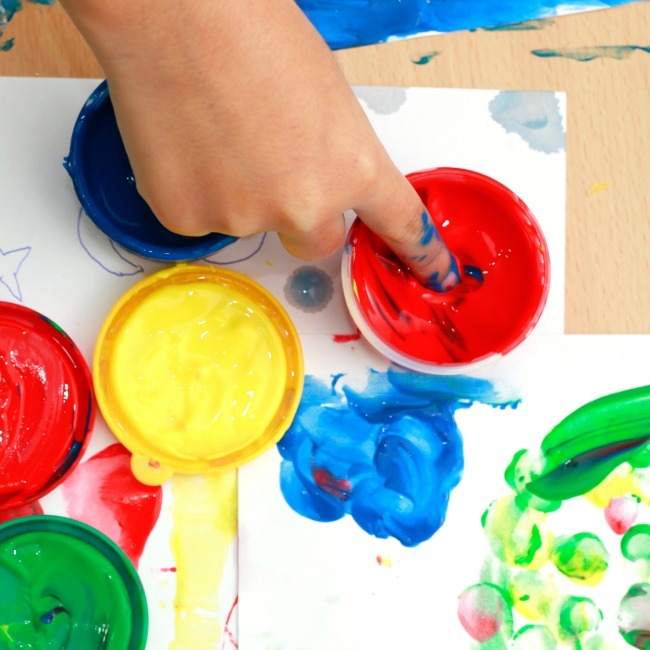 About 10 minutes down the road (south), the Annmarie Sculpture Garden would delight your kids with fun play options and numerous ongoing opportunities to create art. Click here for my in-depth review of the sculpture gardens. Also, the Calvert County Maritime Museum is super fun for kids, with activities such as visiting a lighthouse, petting rays, playing with sea otters, and other fun kid-friendly activities. For the Flag Ponds Nature Park website, click here. If you are interested in camping with your young kids, Rocky Gap State Park is a great place for first time campers (read my in-depth review here). We first took our daughter when she was barely 2 years old and she loved it! Regardless of whether you go for camping or want to access the day use area, Rocky Gap State Park has a couple of short hikes that you kids will love. The Touch of Nature Trail is a very short, flat 1/4 mile walk to the lake. There are of course many treasures your kids will love exploring, but for a first hike, you can’t get much easier than this. The Canyon Overlook Trail is also 1/4 mile long (1/2 mile total). It is an actual trail and a bit steeper than the Touch of Nature Trail, but the pay off is a gorgeous view of the canyon. Both hikes were super fun and a great way to introduce little legs to hiking. If you are staying overnight at Rocky Gap State Park, there are really a ton of family fun options including a playground, nature center, and beach (the beach for campers is private/not accessible by day use visitors). For the Rocky Gap State Park website, click here. Ahhh, Centennial Park. 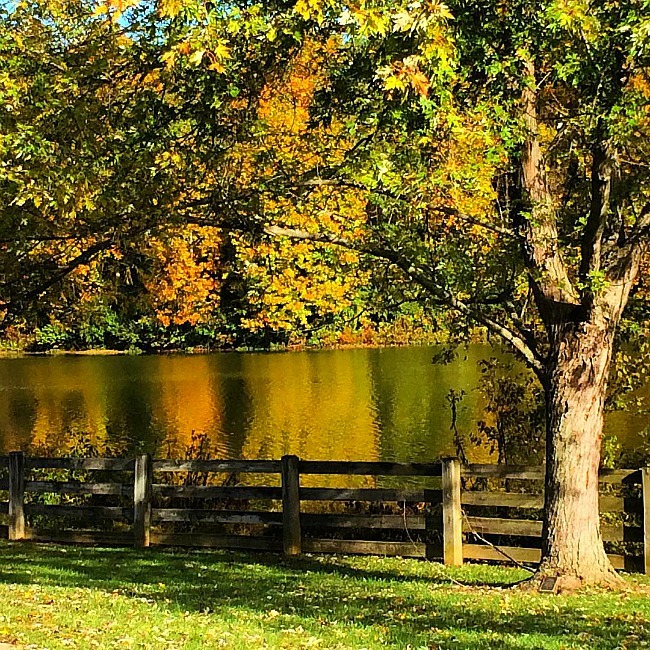 Centennial Park, which is situated in Howard County, is such a gem. On any given morning, walkers, runners, and bikers use the 2.6 mile loop trail to get in their daily exercise. You really couldn’t ask for a better location either. The paved loop trail hugs the lake and meanders through wooded areas, over bridges, and past open fields. 2.6 miles might be long for little legs but, then again, they might not notice since the lake and park are so beautiful. One option we use is to park at the parking lot near the playground, and then do an out and back walk, instead of walking around the entire lake. Oh yes.. there is a ginormous playground (no swings though) that you will want to make time for if you visit. Centennial Park is the perfect place to go with a picnic lunch and a few outdoor toys. Enjoy the wide open space and beautiful scenery and just have fun with your kids! If you are looking to round out your day with another activity, Clark’s Elioak Farm is only about a 5-minute drive away from Centennial Park. Clark’s Elioak Farm is geared to younger kids and you could spend a few fun hours here for sure. Click here to read my in-depth review of the farm. For the Centennial Park website, click here. The Robinson Nature Center in Howard County is another favorite family fun spot. The nature center is a good idea for families with young kids pretty much any time of the year. (click here to read my in-depth review of the nature center). However, when the weather is nice, there are numerous trails on the nature center property that young kids would enjoy. My favorite trail leads to the Patapsco River. Visitors are encouraged to creek stomp in the river to cool off in summer months (bring a change of clothes and water shoes!). This particular part of the river is very relaxing and lovely. The Robinson Nature Center is located smack dab in the middle of Columbia. Nearby activities to round our your day trip could include anything from a visit to a trampoline park, to a matinee movie at the Columbia Mall. Click here for the Robinson Nature Center website. 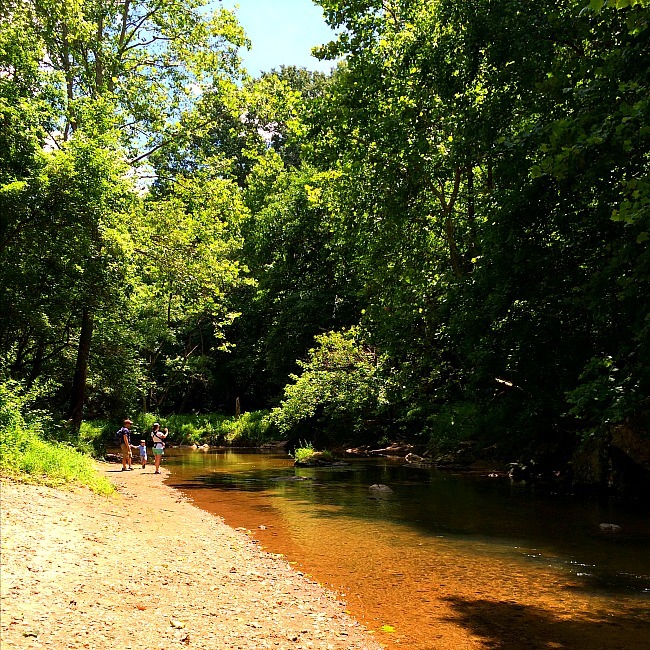 So, there you have it–7 totally fun Maryland hikes that are perfect for families with young kids! If your head is now spinning with ideas for fun family trips, don’t forget to sign up to get your FREE Family Fun Planning Guide, as well as weekly local fun tips and tricks! Previous Post: « 10 Adorable Zoo Animal Toilet Paper Roll Crafts for Kids!